Continuing on the subject of socks, let me mention the Thorlo brand. I first became aware of Thorlo socks when I started running in the '80's. The Thorlo running sock was bar-none the very best to be found. They were cushioned, well fitting, and lasted almost forever. They did cost a lot, but since running requires little besides shoes in the way of equipment, the cost seemed incidental. I have had Thorlo athletic socks perform for many years despite constant service. Over these years, Thorlo has expanded its line again and again. It now includes a sock for every activity you can think of, and in multiple styles and colors and configurations. 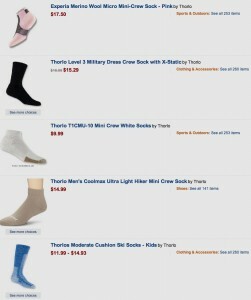 If you search for "thorlo socks" on amazon.com you will get 681 results. These include socks for running, tennis, walking, hiking, boots, fatigue boots, distance walking, breast cancer awareness, everyday outdoors, uniforms, basketball, safety steel toe shoes, western dress, backpacking, golf, skiing, ironmen and women, hunting, sensitive feet, calf roping, everyday comfort, extreme cold, diabetics, enduro running, military physical training, snow boarding, mountaineering, and postal uniforms. There are also some results needing research for me to understand, such as the "women's Xhale speed diva socks." Would you agree that it's a good thing to have 681 choices if you're shopping for a pair of socks? I decided that it isn't when I went online and tried to get another pair of the socks I already have. My favorite sock cannot tell you what it is. I'm sure the cardboard sleeve that came around it had a name, but that is gone and forgotten. Among the 681 Thorlo choices, there are many that look like my sock, and I have not way to know which one it might be or even if they still make my sock. Fellow consumers, we are not being blessed by 681 choices, we are being duped and manipulated by them. The designed complexity of our choice will shortly frustrate and overwhelm us. Then we will rightly conclude that researching all these choices is a task we do not need and probably a game we cannot win. We end up just picking something that ends up not being what we wanted, and soon we are back to picking again. I saw this recently at the Verizon Wireless retail store where early holiday shoppers were being shown their opportunities to move up to the latest and greatest smartphones and tablets. Shoppers were nodding their heads as if they really understood the meaning of 3G, 4G, retina displays, 1080p, megapixels, download Mbps, VPN capability, and countless others. And this does not even get into the choices and charges for the cellphone plans needed for every new phone you purchase. The information overload is designed to get us to a state where we give up on understanding and just go with the sales pitch. How many of us would undertake to read and analyze a 33-page credit card agreement from the bank and then intelligently compare it with others before making a decision? I once spent a week at the Aberdeen Proving Ground in Maryland, working on a training film. Aberdeen is a center for military intelligence and has a collection of captured weapons brought there for analysis. A friendly intelligence officer gave our team a guided tour of this facility, and a summary of military intelligence historically. He told us that the problem of early commanders was not enough information to go on. (I once read that the Battle of Gettysburg could have easily been won by either side if they just had a few of the walkie talkies now sold to children as toys.) But the problem today is the opposite – too much information. The problem is how to process it and deal with the overload. And there's another problem. In addition to all the people informing us, there are others who make their living misinforming us. The misinformation gets mixed in with the information. Deception poses as enlightenment. In political campaigns it gets more and more blatent. In advertising the mix of fact and fiction is usually more subtle. At times there seems to be more misinformation than information. The fictions outnumber the facts. 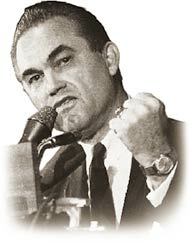 I once attended a national convention where matters were debated that I had little knowledge of. It was confusing. I was expected to participate in the voting, and I sincerely wanted to do the right thing. Each time a new speaker presented his point of view, it sounded good to me and I was ready to vote in support. But then a new speaker would rise up and speak in total disagreement. And that sounded even better. I was tossed back and forth, like driftwood in the waves. I felt foolish, inadequate, and out of place. This is the result of our information and disinformation overload. We feel foolish, inadequate, and out of place. And it will likely get worse, not better. We must somehow learn to cope, to "sort things out" as the Brits like to say. Let me know your thoughts. For as long as I can remember, there have been "grocery bags." First they were paper, then they were also plastic, and often now you have a choice. But for the past year in Montgomery County, Maryland, you also have another choice. You pay a nickel for every bag you get from the store. But you have a choice of bringing your own reusable bags and avoiding the 5 cent charge. The logic behind this policy is fairly evident. When bags were all "free," we bagged things wastefully and created mountains of trash. Also paper bags are made from trees and plastic bags are made from petroleum. Petroleum is a resource the world is running out of, and burning it creates gases that contribute to global warming. 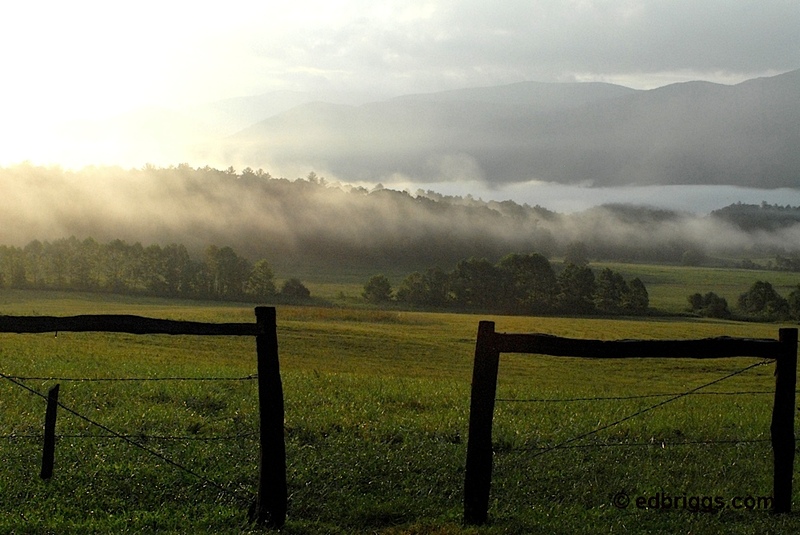 Cut-down trees can be replanted with seedlings and replaced over time, but we are cutting our forests much faster than we are re-growing them. Saving our wood and oil just makes sense. The transformation in people's shopping habits during this first year of the new law has been remarkable. In the early months, few people brought bags from home and just paid the extra charges. But every 5 cent charge you paid was a reminder. You began to notice more and more people bringing their bags, and you made mental notes to do the same. When you forgot, you scolded yourself and felt stupid. As you carried your groceries out in plastic, you imagined people staring at you disapprovingly. Then you became a regular. Social distinctions then appeared. 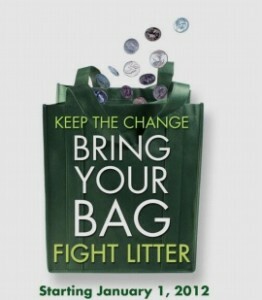 The "better" stores have their own better bags including their branded snob appeal. Not many people are seen bringing Wal Mart bags in to shop at Whole Foods. (Bill Maher's name for Whole Foods is "Whole Paycheck.") But the new law applies everywhere and is no respecter. I have not seen figures on the amount of wasted wood and petroleum saved by this one law in this one county, but it has to be significant. I do not know the effect if the law became a national one, but the result would have to be huge. Like others, I was resistant to this law at first. But in these few short months, I have become a willing supporter. Bringing my reusable bags is easy and has become second nature. I feel good about saving our resources and the impact of all the waste we used to create. I know this is one small step, compared to all the steps that are needed to bring our lifestyles into harmony with the evident strains of our economies and environment. But it is something, and it is easy. Greek and Hebrew were both required languages when I was a seminary student. I was happy enough to take Greek–I had started learning it in college. But Hebrew I dreaded. Such a funny looking language, and I thought of no good use for it. Hebrew was the language of the Old Testament, and I was more of a New Testament kind of guy. Every semester I kept putting it off, as in denial. But the requirement was not going away, although I was acting as if it might. I put off Hebrew until there were no semesters left except my last one. So I registered, then went to class with the enthusiasm of a person in line to renew a driver's license. The picture to the left shows the text of Genesis 1:1-10 in the original Hebrew. This is what I starred at on my first day of Hebrew class. I had to learn to read this stuff? There are two directions this story could take. Either my prejudice was confirmed and I hated Hebrew class, or it was overturned and I learned to love it. The latter is what took place. It turned out that my teacher was personable, smart, funny, engaging, and self-depricating. He seemed to know that students with my attitude were sitting in the rows before him. He loved Hebrew, and soon I loved him. And so I began to love Hebrew also. I ended up with an A in this class, got an A+ on a major paper, and ended up wishing I had done this sooner so I could take advanced courses. As cautious, self-protective human beings, we all tend to pre-judge our situations. If a stranger approaches, we put ourselves on guard. And if the stranger is strange, we do so even more so. If we're given an assignment, we form an opinion about the outcome. We gauge whether we will like it or not, and whether it will turn out well or not. And these assessments tend to stick. They are difficult to reverse later on. If we decide initially that we do or don't like a person or situation, a momentum is established. 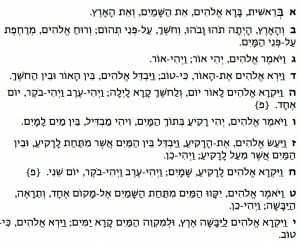 Had you been betting on my experience with Hebrew, the safest bet is that I hated it, just like I expected to. A funny thing happend just now. I interrupted these thoughts for a quick trip to the Safeway. There I glanced at a man who made a negative impression. I can't explain why, but I didn't like his looks. This took all of about two seconds. Then on the way home I stopped for gas. As I was folding and filing the receipt in my billfold, a car behind me blew its horn. There were plenty of open pumps, but for some reason they wanted mine. I noticed the driver was a young Black woman, and I made certain assumptions that were not flattering. Then I came home to continue these thoughts about prejudice. All this suggests that we need a certain humility about our assumptions and prejudices. We will always make assumptions, even two second ones, but we must realize these may be totally wrong and keep from stubbornly persisting in them. It will help to remember how many times the things we dreaded worked out for good. I don't use my Hebrew much these days, but I know I would enjoy it if I did.